K1, K2, K3, and the latest addition to the family — Tableau. 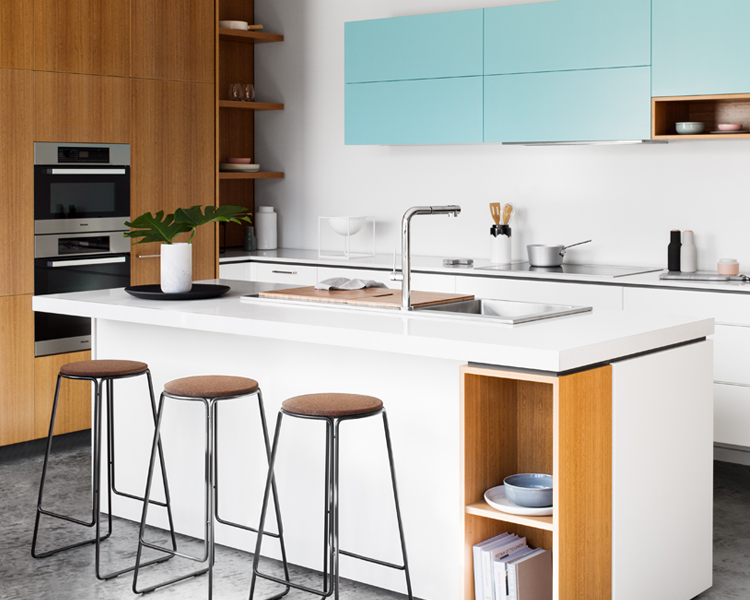 A tailored kitchen system for a modern Australia, designed in collaboration with DesignOffice. Tableau is a considered product, conceived as a series of versatile components, designed to complement each other. Honest, durable and timeless, K1’s nimble system shines during our user-centred design process. At a glance the K2 is thoughtful, robust and elegant, but its true beauty lies in the day-to-day ease of intelligent design. With a playful nod to mid-century modern, K3’s paired-back design lends itself to both contemporary and retro interiors. Our kitchens are designed and hand-built, solely in our Brunswick East workshop, by a team of dedicated designers and cabinetmakers. Our service includes nationwide delivery.